Customer Service eLearning & Onsite Training Customized Engaging Customer Service Training Is it wise to “split the difference” with a customer? Is it wise to “split the difference” with a customer? 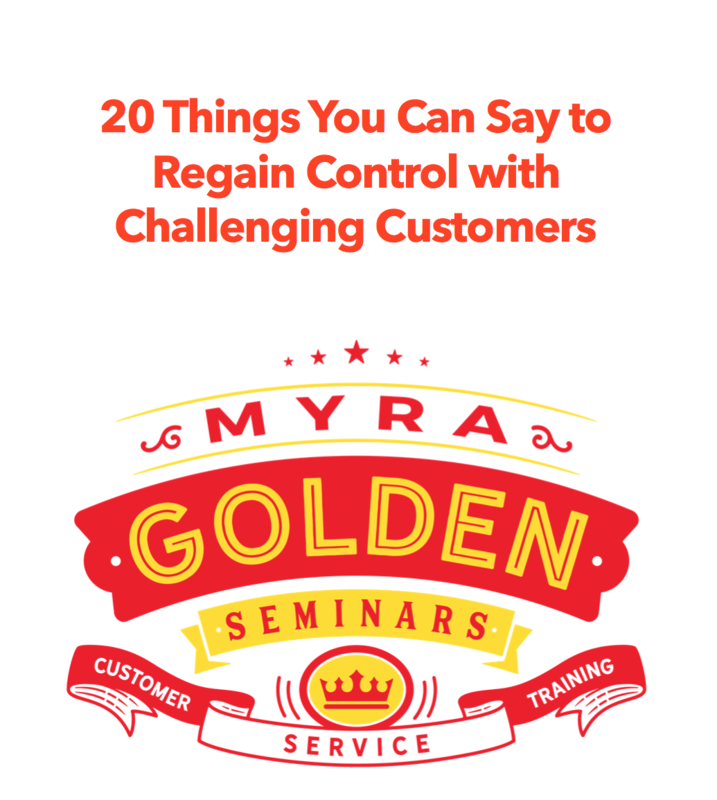 Myra’s answer to: Is it wise to split the difference with a customer. Splitting the difference with customers in deadlock situations is quite common in the customer service world, but I do not think it’s wise and here’s why. Quick concessions undermine the credibility of your initial offer. Large concessions tell the customer a lot more can still be conceded before your bottom line is reached. Small concessions tell customers your bottom line is not far off. If your people quickly offer to spilt the difference, you are undermining the credibility of your organization and beckoning the customer to ask you for even more. Additionally, splitting the difference is not likely to improve customer satisfaction or bring the customer back. I’d focus on giving your team skills to negotiate effectively with customers and to assertively draw the line on consumer error. I think your team might benefit from an on-demand webinar I recorded recently, entitled How to Negotiate with Customers: 10 Strategies for Negotiating with Crafty, Cunning & Unreasonable Customers. Get the details on this on-demand recording right here.